Direct from a sold-out run at London's Almeida Theatre, Anne Washburn's stirring stage version of The Twilight Zone will move to the West End in 2019. Richard Jones will repeat his work as the play's director, with performances slated to kick off on March 4 at the Ambassadors Theatre. Based on stories by Twilight Zone creator Rod Serling with Charles Beaumont and Richard Matheson, the stage work tips its hat to the 1960s TV series in which ordinary people find themselves in extraordinary circumstances and attempt to solve them in a remarkable way. 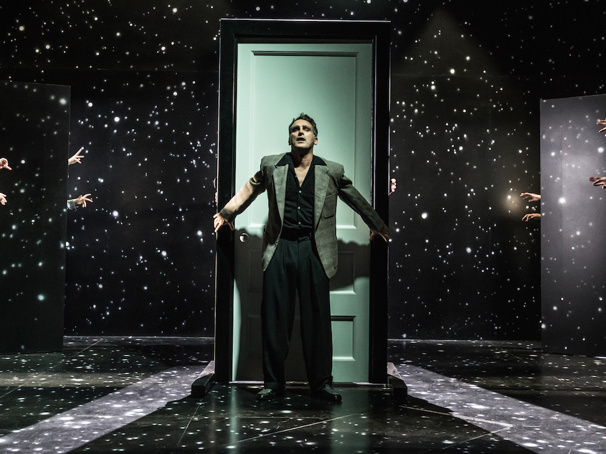 The Twilight Zone features scenic design by Paul Steinberg, costume design by Nicky Gillibrand, lighting design by Mimi Jordan Sherin, sound design by Christopher Shutt, movement direction by Aletta Collins and illusions by Richard Wiseman. Casting for the West End production will be announced at a later date.